In the East of Scotland something of a boxing renaissance is underway, headed by rising super lightweight Josh Taylor, whose success has helped inspire a revival in the sport’s popularity in this part of the world. Taylor’s most recent outing under the McGuigan Cyclone banner saw him take apart with impeccable skill former lightweight world champion Miguel Vazquez in front of a packed crowd at a sold out Royal Highland Centre just outside Edinburgh. But Taylor wasn’t the only super lightweight on the bill who is currently making waves. Following in his slipstream is Jason Easton, who in his own fight in the chief support bout disassembled previously undefeated Josef Zahradnik of the Czech Republic over 12 rounds to take his undefeated record to 11 fights with 6 wins by way of stoppage. The rise of Josh Taylor and Jason Easton is all the more remarkable when you consider that Scotland’s capital city of Edinburgh, from where they both hail, is not a place likely to figure on the radar of many when it comes to boxing; this despite Edinburgh being the hometown of one of the greatest lightweights to ever grace the sport in the shape of Ken Buchanan. Think boxing and you naturally think Philadelphia, Detroit, New York, Mexico City, Manila. While in the UK it isLondon’s East End, Liverpool, Glasgow and Cardiff which are the cities and towns synonymous with boxing, parts of the country known for mean streets and hard lives. Edinburgh on the contrary seems more like a city whose residents have been lulled into a deadening torpor by an overdose of history, culture and affluence. In such an environment the adjectives of combat are as much out of place as beer in a tearoom. Yet scratch the surface of its genteel façade and you enter another Edinburgh, one that contains its fair share of working class communities, where the symptoms of poverty abound and are always on the lookout for fresh victims. It is in such places that boxing thrives, offering one of the few legitimate escapes from the soul crushing, truncated lives that are all-too often the norm for the children of the working class. In Edinburgh one such community is Niddrie. 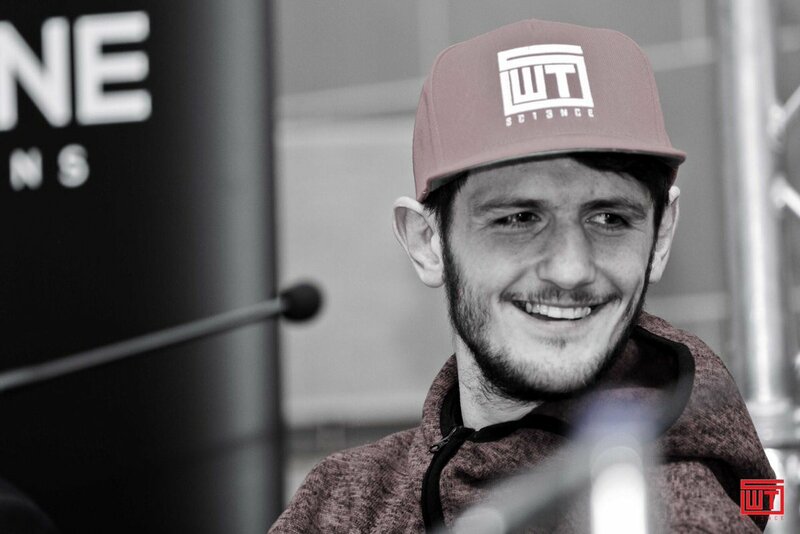 Notorious within the Scottish capital as a place where no prisoners are taken, where a punch in the mouth is as common as a handshake, the raw toughness that undefeated super lightweight and Niddrie native, Jason Easton, carries to the ring is no surprise. One of the more refreshing aspects of Easton’s career is that his is a rare case of a fighter who rather than turn pro and immediately switch trainers, treading the well worn path of young pros who mistakenly believe that even if it isn’t broke they should still try and fix it, he has remained under the tutelage of Kenny McCartney, proprietor of the city’s Craigmillar Boxing Club, where Easton learned his craft as an amateur. McCartney is one of the best kept secrets among the UK training fraternity, measured in the significant improvements that Easton has made this year alone, adding a deft defence to go with a chin which calls to mind a young Carl Froch, along with a jab of uncommon ferocity and precision. Rounding out the team is strength and conditioning coach John Keenan of Edinburgh Fitness Solutions. Keenan, like McCartney, is unassuming precisely because he knows that his talking is done by Easton in the ring. The ex-soldier’s knowledge of the specific and unique conditioning requirements of a professional fighter ensures that nothing he does comes close to shooting in the dark, as is often the case when it comes to strength and conditioning programs. Given the tendency within boxing to disdain the new and cling on to the old, the trust placed in Keenan’s methods is a credit Kenny McCartney’s vision and confidence in his own ability as a trainer – one who knows that success does not come to those too afraid to do anything except swim with the tide of received truths and conventional wisdom, but those willing to swim against the tide. Though up to now lacking the more than deserved publicity accorded to Josh Taylor, make no mistake that in a tough corner of Edinburgh there is another exciting Scottish super lightweight working his way up through the ranks. At this rate the name Jason Easton will soon be on the lips of boxing fans not only across the UK but also further afield.